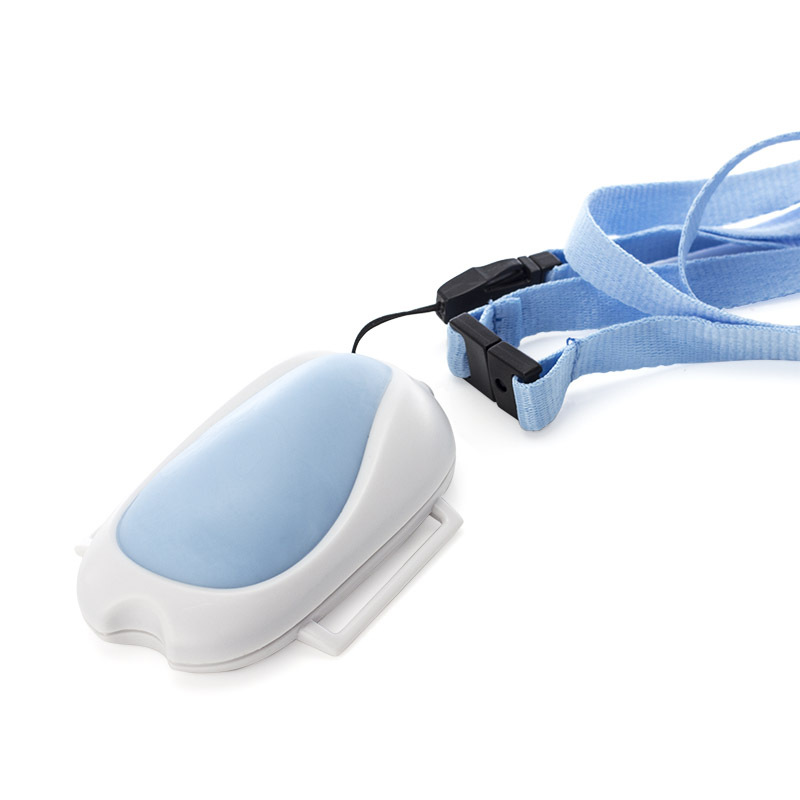 The Waterproof Pendant Transmitter connects with the MPPL pagers to sound the alarm when pressed. Ideal for use even in the bath. There are a number of products that work with the MPPL Pagers found across the Home Care Range, providing alarms when you get out of bed or open the front door. But these products are all put into position and fixed there. There are times when you may wish to have the security of knowing that an alarm will be sounded regardless of where you are in the house. The use of a panic button/pendant transmitter is an ideal way of alerting someone to any distress you may find yourself in. The use of a Waterproof Pendant Transmitter is a solution to this problem. 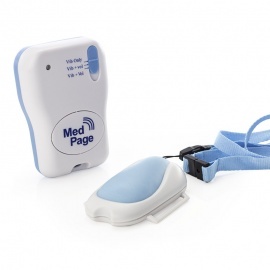 As the pagers can be used with up to eight products, you will be able to connect it to an existing pager if necessary. This ensures you can reach aid wherever you are, even if you are in the bath for the button is housed in a waterproof shell. The rubber makes it easy to grip even when wet and the large button makes it easy to press. The pendant comes with a lanyard and a hook and loop fastening wrist strap, enabling you to wear the pendant in the most suitable way that meets your needs. The easy to press switch is coated in a rubber waterproof housing, making it easy to grip even when the product is wet. Range of up to 120 meters. Although the waterproof pendant is ideal for a bathing alarm, it can also be used as a regular panic or security alarm if necessary, as long as it is within the 120 meter range of the pager.